M.S.WOODS has been serving residential real estate buyers and sellers in Indianapolis and throughout central Indiana since September, 1998. That one-man business has since grown to employ over 40 professional, licensed REALTORS®. The company is consistently on the Indianapolis Business Journal's list of "Top Residential Real Estate Agencies" year after year, having finished 2016 with over $80 million in residential sales. To help buyers and/or sellers achieve their goals. Whether they're a young couple looking for the perfect starter home or empty-nesters looking to buy a summer home on the water, our #1 priority is to make their dreams come truewhile steering them clear of potential nightmares. "When you work with M.S.WOODS, you get my personal promise of integrity, professionalism, and the highest standard of ethics," says Woods. "Our agents combine local neighborhood knowledge with up-to-the-minute real-estate resources and tools to deliver the results home buyers and sellers deserve." "WE WILL ALWAYS BE THERE FOR YOU"
The knowledge that our clients depend on us to be there for them through every stage of the home buying/selling process. Therefore, we must always be available to them. A belief that EVERYBODY, regardless of background or income, deserves to be a homeowner. Can YOUR Real Estate Agent Do THIS? "All you have to do to sell more houses than anyone else in the business, is to try a little harder than everyone else. Go the extra mile for your clients. Do those things that other agents refuse to do (or don't think to do) and you'll never go hungry for a lack of business." LISTEN carefully to your clients. They will tell you exactly what you need to do to help them. Always ask yourself: "What could I do TODAY to make this easier for my clients?" Ask yourself what you might do differently if this client were your mother. Do whatever it takes to deliver your clients their dream. Never assume your client understands the vagaries of closing, negotiating, or any of the other details of buying or selling a home. That's what they're paying you for. If you don't know the answer to a client's question, admit that to them. THEN find the answer. Stick around AFTER the closing. Your clients may still need your help. 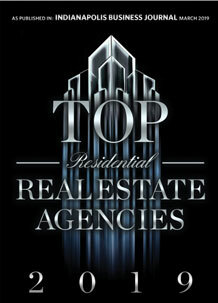 M.S.WOODS is a real estate Website designed for today's real estate market. Unlike many REATLROS®, we have our own in-house programming staff. Subsequently, we're able to provide unique, easy-to-use, cutting-edge tools to our users. Our Website allows YOU to decide how YOU want to search for your new home. M.S.WOODS is always at the forefront of sponsoring community events, as well as the arts, and various charities in the communities where we live and work. We also offer an annual, nationwide College Scholarship... because today's youth are tomorrow's leaders. If you're thinking of buying or selling a home, talk to an experienced, and ethical, real-estate professional from M.S.WOODS Real Estate, L.L.C. We know and love Indianapolis as much as you do!